Here are the top five questions patients tend to ask. Prospective patients often hesitate over this issue before picking up the phone, but like many things in life this is usually an overstated anxiety. When given by appropriately trained practitioners (such as British Acupuncture Council registered individuals) needle insertion is usually accompanied by rather mild sensations. Are you familiar with treating my condition? This boils down to the question “how can I be sure of choosing the right practitioner”? Ask about professional qualifications and status. The British Acupuncture Council is the UK’s largest regulatory body for practitioners of traditional acupuncture with around 3,000 members . Ask how long they have been in practice. The more experienced the acupuncturist is, the more likely it will be that they have already treated someone with your condition. Ask them about their success rate. Perhaps this is a condition they specialise in. If not then have they treated something similar? Do they have an understanding of your symptoms? How they might be able to help? Can you communicate with this person? The British Acupuncture Council have a series of fact sheets which provide accurate and un-biased information for a variety of conditions. This is often difficult to judge at the outset since everyone is different. There are however some rules of thumb that can be helpful. The first step is to book an initial consultation with your chosen practitioner so he can assess your circumstances. From this he will be able to suggest some pointers which will help you to build a roadmap to recovery. For example you might expect to start feeling more refreshed after sleep, experience milder premenstrual mood swings or feel more energised. Each can indicate progress towards the main goal. Ask about expectations – does he expect you to make a full recovery? Does this feel right to you? Initial treatment may be given weekly or twice weekly until symptoms begin to stabilize, then will be offered less frequently until the main treatment goal is reached. Why don’t you stick it where it hurts? How did you get into acupuncture in the first place? Men and women train in this field for various reasons. Some are so impressed by their experience of receiving acupuncture treatment that they have an ‘aha’ moment. 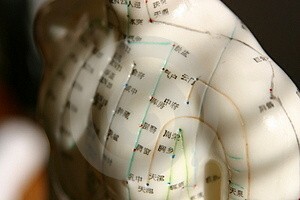 Others are interested by the philosophy behind acupuncture and see it as a way of changing the world. Some have an overriding desire to help their fellow human beings. Often it is a combination of these. In my case it was intense curiosity that drove me to read every book on the subject. If acupuncture was so good and had been around for hundreds of years, how come it wasn’t routinely available from my GP? I spent fifteen years working as an electronics engineer in the telecommunications industry, and this question was still with me when considering the option of career change. Taking a three year degree (or degree equivalent) course is no easy option, but the rewards are tremendous! Nothing matches the thrill of helping someone to get their life back or to become pregnant after years of trying. This entry was posted in Acupuncture Pain, General by Martin Dean. Bookmark the permalink. Acupuncturist and University Lecturer Martin Dean has over 20 years clinical experience. He has a specialist interest in treating fertility issues and is also a founder member of Zita West's Network for Reproductive Health so you not only get the benefit of Martin's individual expertise but, through the network, the experience of Zita and her colleagues. In his spare time he practices tai chi to promote calmness and maintain health.